Philip Pullman’s seminal trilogy started with The Golden Compass in 1997 and ended with The Amber Spyglass in 2000. Or so we thought—because now, the author has announced an entire sequel trilogy, The Book of Dust, will come in October. The first book doesn’t have a title, but the name of the trilogy is extremely suggestive to fans. In the world Pullman created, “dust” is a particle responsible for everything from thought to the truth-telling device (the Alethiometer) that protagonist Lyra carries. And, as far as the Church in Lyra’s parallel world is concerned, it’s also a manifestation of original sin, since it seems to be attracted to people. It’s a different story, but there are settings that readers of His Dark Materials will recognise, and characters they’ve met before. Also, of course, there are some characters who are new to us, including an ordinary boy (a boy we have seen in an earlier part of Lyra’s story, if we were paying attention) who, with Lyra, is caught up in a terrifying adventure that takes him into a new world. Dust, as the title suggests, is the thing that brought Pullman back to writing this world; the questions about it and the struggle between people who want to study it and those who want to repress knowledge of it interested Pullman enough to write more. 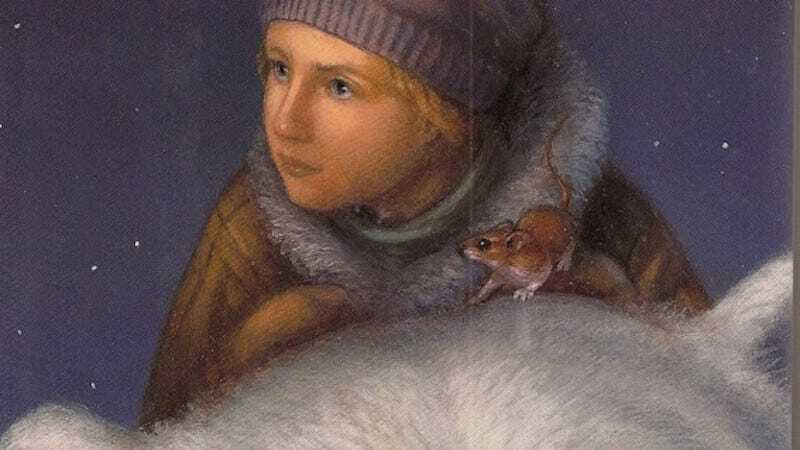 While everything about Lyra’s life before she’s introduced in The Golden Compass—including what went down between her parents—is interesting, it’s going to be the sequel plot that has fans salivating. Or, at least, has this fan salivating. The trilogy ended with Lyra and Will Parry falling in love but being forced to separate because they literally come from different universes. It also had Lyra losing the intrinsic ability to read the alethiometer and vowing to build the Republic of Heaven. That’s all stuff I’m kind of desperate to see followed up on.